The year 2008 is considered a crucial turning point in contemporary Chinese history, with the hosting of the Beijing Olympics. The event was a kind of grand advertisement for China’s image, similar to the Tokyo Olympics in Japan in 1964, and the Seoul Olympics in 1988. Since the games China’s ‘country power’ has hit a high peak, following 30 years of reform, opening up and market economics, and it was this year, no matter whether the Euro-American powers or Asian neighbors, began to be alert on the issue of ‘the rise of China.’ There is a collective containment to restrain China’s development politically, economically and culturally in the international arena. 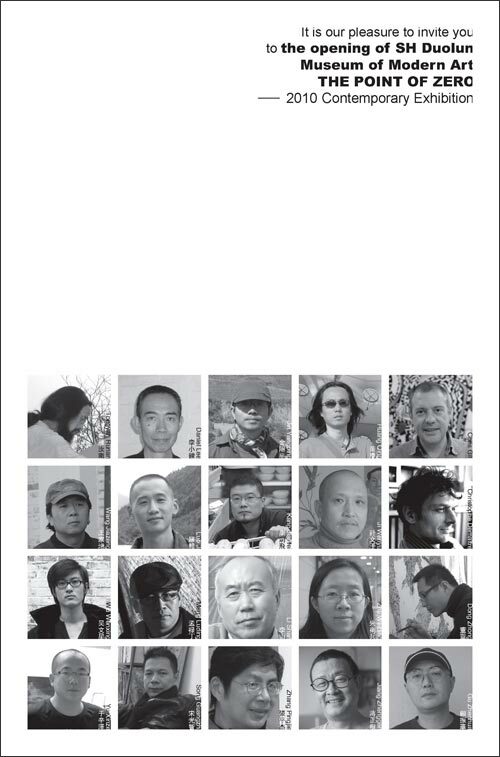 China contemporary art has experienced a zigzag track, started from the “Stars Show” in 1979. Since the “Post 89” generation debuted, firstly in 1991 overseas, til the 2008 Olympic Games, Chinese art has always been a “Topic Focused” genre drawing significant attention from international art circles, and has become a “Concept Plate” chased by the art market. But there is a Chinese saying: “There is no never-ending feast”. 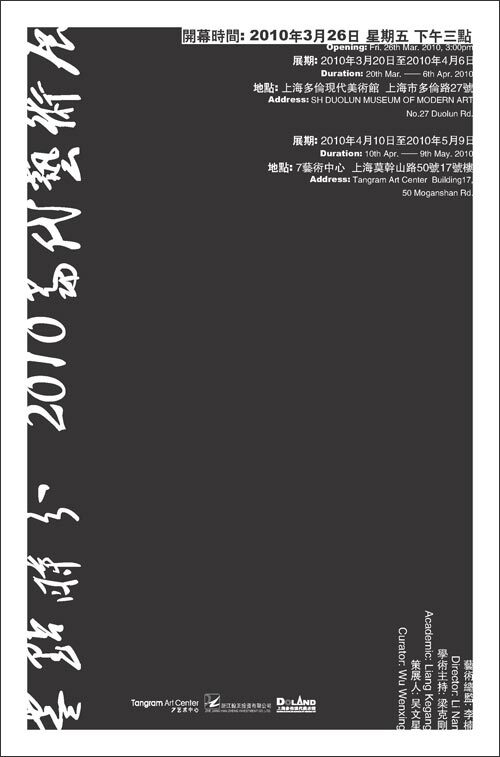 Chinese contemporary art appeared a never-ending feast before 2008. The brand “Chinese Art ” had similar stylistic forms which could be easily recognized by the art market. And via combinations of traditional ‘cultural ghosts,’ ideological relics, post-colonial issues and a carnival of market speculation which popularized imagery of Chairman Mao Zedong, the Cultural Revolution, the Red Guards and so on has become a collective strategy for many Chinese artists with the ambition to be world-renowned. This phenomenon is very similar to a childhood gang fight. While the very roots of this issue lies in the fact that every individual is not as strong as the collective. The seeming never-ending feast eventually ended all of sudden following the Olympic Games and the arrival of the global financial crisis. As matter of fact, early in 2007 some experienced euro-American collectors had already dumped Chinese contemporary art works at their highest price. The Tate Gallery, known as ‘Britain’s contemporary art nuclear reactor site’ had already held a Chinese contemporary art exhibition with unpopular stars, and clearly pointed out “China Fatigue“ was setting in. A famous British collector, Charles Saatchi caught the last bus; he dumped and cashed in all his Chinese collection for over one hundred million in 2008. It was the same with the Belgium collector, Guy Ullens, whose ambition to establish a not-for-profit art gallery in China is now half-disguisedly selling the collection in succession. All this implies that China’s contemporary art, as a kind of money–chasing black horse in the international art market for almost 20years has begun to run out of favors. China’s contemporary art has eventually returned to a real “Individual Era”, during those booming years, some independent artist who kept their individual style were cornered to the other side of the market. No one really cares about the inner feelings and personal experiences from the depth of an artist’s heart; and everyone was pursuing and chasing the “China contemporary art” bandwagon which can be obviously recognized with hindsight; while finally, there is little real collection being kept in euro-American state galleries during those 30 years. This demonstrates the fake flourishing and exaggeration of the period. We built a lot of stars and big powers in the pop rankings, but still no real artist has been found who contributed to the world’s contemporary culture and visual art scene. To our gratification, it rarely can be found in our exhibition that the abuse of Chinese symbols and signs, and the over-expounded traditional culture; what can be discovered is the Artist’s inner world, rich and different from each other. The artist’s feelings emerged in lines and textures; and the satisfaction of the daily working life, all these can be touched in honest style of drawing. As the saying goes “Gentlemen Vary”, art should finally be individualized. Art is to prove the value of every individual living life. Zero is a metaphor about time; it is not only an ending but also a beginning. When a carnival feast ends, the scattering and returning to the individual is undoubtedly to be regarded as a benign start. We shall pay tribute and salute to those artists who stick to and keep on the individual discovery and never ever drifting with the streams, because it is much harder to refuse the capital power under the disguise of an advanced productivity than to refuse the arrogantly ideological power. This dispels of China contemporary art plate, as a normal return, is a good thing no matter for the art or for individual artist. We are in the sincere anticipation to a real strong individual artist in the Chinese art circle who will make the far-reaching and valuable contributions to the human culture and world art at large.